It is an unfortunate fact that almost every business will have the need for a lawyer at some stage in their growth. Whether it be a small Dispute or something on a much grander scale, each require the right amount of attention to make sure it doesn’t cripple your business. The most worrying part of this, is that most lawfirms still charge you on an open ended basis, charging their hourly rate at 6 minute units for every contact, phone call, email, research, letter writing and form-filling activities. A recent study carried out by YouGov Found that of the SMEs that required legal advice over a two year period, 15% of them ended up in court but almost 25% did not know how much to budget for their legal fees in the coming years. This is probably one of the most common and most difficult aspects of legal advice; which is that most of us have no idea how much a dispute is going to cost us in terms of the legal advice we need, and therefore are very fearful of entering into a dispute because it is almost impossible to work out what it would be worth to settle instead. The very nature of legal advice is such that it evolves over time, with new information being unveiled, discussions being had between disputing parties, and the very feelings of the parties involved because overtime some will grow fonder of the idea of a settlement whilst others will grow more frustrated and litigious. Make sure you decide whether your case is best suited to use a solicitor or a barrister. In many cases it is only specialised advice that you require, and not a huge amount of documented exchange or discussions with another party. You will know your business intimately and instead of having to explain its full history and process with a solicitor, you may benefit from having specialist advice from a barrister as to where you stand in your dispute, and then with that advice attempts to settle your dispute with the other party. 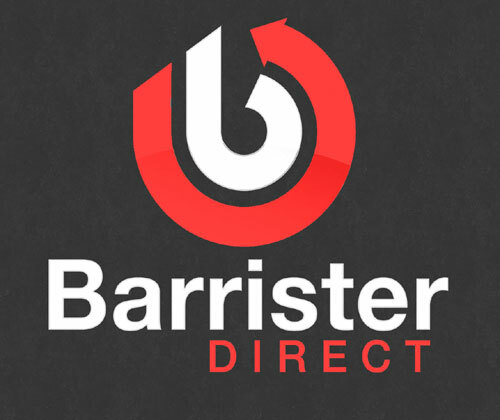 Many barristers who are direct access training will be happy to give you a fixed fee for this advice, and you will then have the choice as to whether to pay it or not but will not be tied into an open ended spend without any idea of when you will receive the information you require. The way barristers work is to give you their advice on a very specific point of your case, Which will usually take them a fixed amount of time which allows them to be quite predictable in their fees. Whether you choose a solicitor or a barrister, you should be prepared to negotiate their rates and fees so that you know exactly what you will be paying, and more importantly that you will be happy with those fees before parting with any money. Don’t simply agree because you feel you have no choice or are not in control of the situation. Make sure you identify the parts of the process that you can do yourself. For example there are Law stationers online that can give you access to hundreds of documents and 10 plates that simply require the facts about you or your company and the situation that you need to resolve. One hour of going through these documents and completing them yourself, can save you hundreds or thousands of pounds that a solicitor may charge you for completing them. Some forms of course will be fairly complicated and are best left to a solicitor, but many of them are straightforward and only ask basic information but are a necessity. Don’t make the same mistake twice, or that of someone else for that matter. If yourself or someone I know has been through a process and has wasted money on something that they could have done themselves, don’t simply jump through the same hoops thinking that you have no alternative. If something has caused your problem in the past, such as your employment contracts, terms of conditions, or other disciplinary procedures, make sure you address those immediately so that they will not come back to causing the same problem again. Every company should be reviewing their terms and conditions monthly if not weekly, or even daily depending on the volume of business that you do. If your company is not protected for a certain situation, you would be best advised to include some notes on this point within your terms and conditions so that they will protect you should anybody needs to claim against you. Know yourself, know your enemy, know your customer. Sounds simple, but if you know yourself well then you will know the areas that you may make mistakes and may cause yourself issues, equally if you know your enemy you will know that they will be looking to highlight your weaknesses and your mistakes, and most importantly you need to know your customer. Your customers are the highest volume of individuals or companies that you will be dealing with so it stands to good reason that you need to understand what their primary concerns will be, what areas they are most likely to complain about, and more importantly how to prevent those from happening before becoming a legal issue.